Teach our girls to be inclusive. Treat others with respect and compassion. Especially others with special needs, who are different and who face certain challenges. Teach inclusivity through leading by example to get our girls on a track where she’ll thrive in a supportive community. How can we do that? The first step to learning how to be inclusive is to learn how it feels to be excluded. Imagine being in their shoes. Be a volunteer to marginalized group. volunteer together at an elderly care center or tutor children with learning differences in underfunded schools. Prepare and deliver meals to people who can’t leave their homes, or organize a fun birthday party for kids living in homeless shelters. Encourage your girls to value not only herself as a unique and worthwhile person, but others as well. Remind her that a person’s appearance, personality, quirks, beliefs and interests bring something special to the world that nobody else can duplicate. If your girls recognizes that everyone has something to offer, she will be less likely to socially reject others. Your girls notices the time you spend on your social media accounts. If you’re glued to your phone for hours on end, she’ll model your behavior and spend time managing her relationships online. Instead, let your girls observe you engaging with your friends in face-to-face, real-time interactions. Host a mother-daughter lunch where no phones or other devices are allowed. Enforce electronics-free times at home, such as dinner and right before bed, a favorite social media time for adolescents. By modeling a commitment to authentic conversations with your friends, you’ll teach your girls to avoid the social media trap where “friendship” often exists online more than it does in person. Be sure your girls realizes that the “in-crowd” does not always translate to the “best crowd.” Instead, focus her attention on right values including kindness, respect and empathy. And teach her what constitutes a healthy friendship. Also, as a parent resist the urge to invest in all the latest electronics, gadgets, clothes, shoes and cars. These items will not buy acceptance for your girls. If you take your girl's focus off of material items as a means to acceptance, then she will be less likely to judge others on their material items as well. 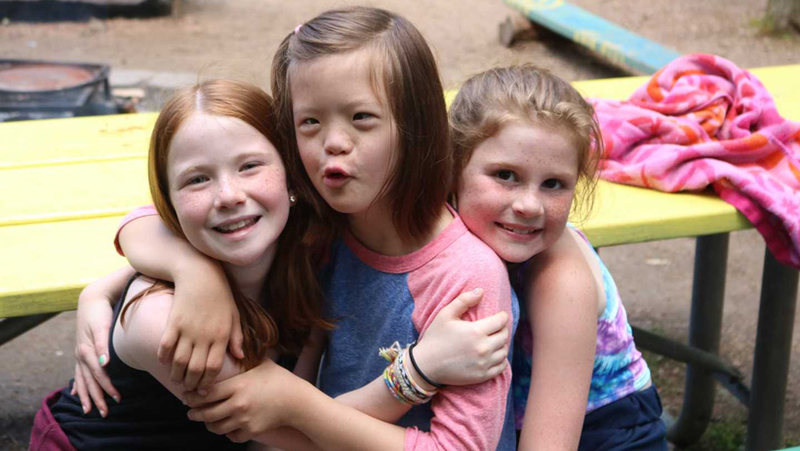 While it is important that your girls attempt to include everyone, you also need to let her know that she is allowed to feel safe and valued in a friendship. She does not have to accept being physically or emotionally attacked by others in the interest of being inclusive. What’s more, if the relationship has proven to be hurtful and toxic, it is absolutely acceptable for your her to establish boundaries with the person. 7. Teach your girls to be an advocate not a witness. Peer pressure is a powerful thing. But so is standing up for other kids. Research shows that when one person takes a stand against bullying, it stops. When she sees other's being excluded encourage her to take a stand. She can do this in several ways. First of all, she can tell the others that excluding someone is not nice. Or, she can take steps to befriend the excluded student by inviting her to do something together after school. She also can offer to sit with her at lunch, walk with her in the halls and talk to her between classes.